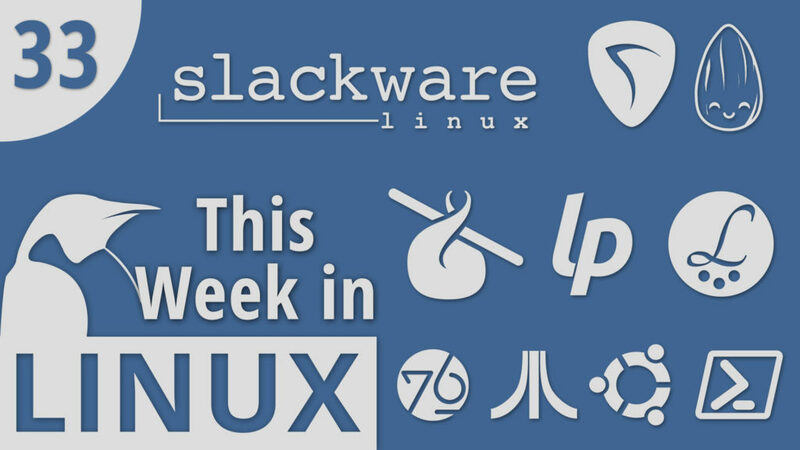 On this episode of This Week in Linux, we celebrate the 25th Anniversary of Slackware, Humble Bundle is running a “Linux Geek Bundle”, Microsoft makes PowerShell Available as a Snap, and we get a sneak peak at System76 Manufacturing Facility. We got a lot of App News this week with a new release of Latte Dock 0.8, preview builds for the music production tool – REAPER and then we’ll check out some cool projects starting with Almond, an Open Virtual Assistantm, and hledger, a command line accounting software. Librem 5 Development Boards have been delayed, and Liberapay Is In Trouble. Then in Gaming News, we’ll check out a Guitar Hero clone and the upgrades to the Atari VCS. Finally rounding out the show, we talk about why Proprietary Software is awful for security. Reports have found that a Voting Machine Vendor installed remote access software, Airport data breach and Cisco’s troubles with backdoors. All that and much more!